Nice to meet you on Audiko.net! A perfect occasion to download a free Kill The Clowns ✪ ringtones for your iPhone or mobile. Scope out your favorite trim from your favorite audio track - Jack Ü Feat. Justin Bieber - Where Are Ü Now (Kill The Clown, Kill The Clowns Ft. 50 Cent - Candy Shop, Drake - Hotline Bling, or any other track. You can have your ringer both in the MP3 and m4a formats, compatible with both mobile phones and iPhones. 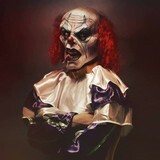 Just select a track, and choose free Kill The Clowns ✪ ringtones download option.